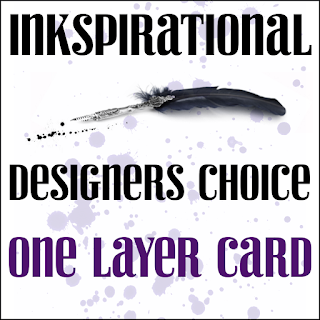 Our new challenge at Inkspirational is to make a one-layer-card. I seem to make a lot of these lately. The cat (Stampin Up) is a solid stamp and when I stamped it in orange, I didn't feel it had enough 'presence' .So I drew round the outline with a pen. 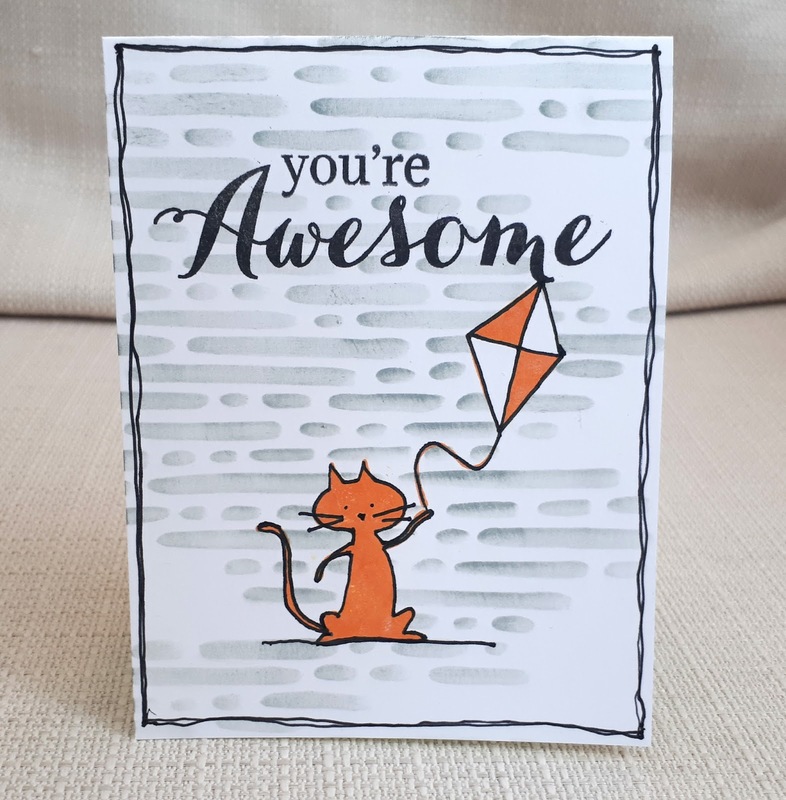 I also added pen detail to the kite (also Stampin Up) and added a doodled border. 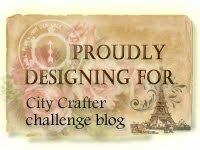 The sentiments are by Waffle Flower and the background is a Paper Artsy stencil. I put this card in my son's bag when he went on a five-day school activity trip. When he came back I found it with his wet clothes - the pen outline had almost disappeared and there was an orange wash over the front of the card! Funny story about what happened to this card... And a little bit sad too! :) Great idea to use the black outline for the cat, he really pops a lot better with that. Love your brick wall! Great design with lots of dimension. 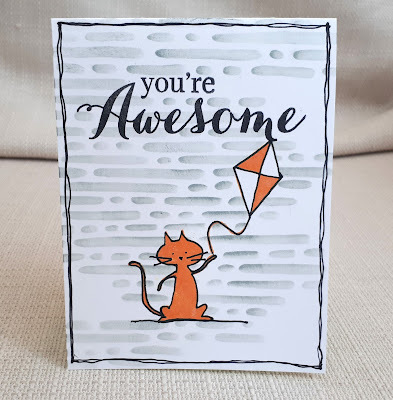 Your orange kitty flying his kit is absolutely awesome! Ooops to his trip to camping! Truly a one-layer wonder! Super cute! I love how you added the pen detail and the fun border. I don't think I would have ever come up with those ideas! Your smudge background adds a lot of texture as well. 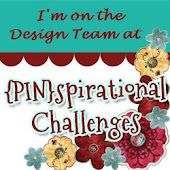 Great design & cute as a button-thanks for joining us at Aloha Friday Challenges! CAS at its best; the cat is awesome:) And so is the font of your sentiment! Ah, kids! 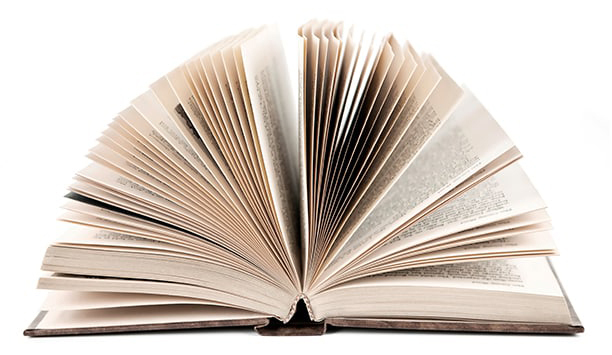 The outlining looks super and you've created an illusion of dimension on this one layer.